WILLEMSTAD - The Latin American and Caribbean Air Transport Association (ALTA) and its Airline Members which represent over 90% of the traffic in the Latin American and Caribbean region, is currently on the island and spoke to the aviation industry about their concerns regarding charges increase at the airport. According to the ALTA representatives, aviation is a vital part of the global economy, and is an engine of economic development across the region and the world. Due to its geography, aviation plays a key role in the Caribbean, as air transportation is essential in connecting remote communities and islands. The Dutch Caribbean is no exception, with its island territories separated by hundreds of kilometers. Aviation here not only enables the development of trade and tourism, but it also has a key social role in connecting businesses, friends, and families in different parts of the Dutch Caribbean. Travel and Tourism play an extremely important role in the region’s economic development. According to the World Travel Tourism Council, Travel and Tourism is responsible for 14.6% of the Caribbean’s GDP and 13% of the employment, positioning this region as #1 in Travel and Tourism economical contribution compared to any other region in the world. In other words, the Caribbean is the region that depends most on Travel and Tourism for the development of its economy. ALTA indicated that passenger traffic in the Caribbean grew at an average 6.2% in the last five years, however, it is worth noting that traffic within the Caribbean has experienced a declining trend, with a 2% drop in 2013 and 4% in 2014.The long term traffic forecasts show traffic in the region growing at between 5.2% and 6% per year until 2034, higher than the projected world average of 4.6%-4.9%. While there are a number of factors that affect air travel demand, cost is chief among them. In fact, as the ALTA representative indicate, they became aware of an InterVISTAS study that examines the impact of taxes on airline tickets in air traffic in Curaçao. The study cites extensive empirical evidence of traffic reductions as a result of increased ticket taxes/fees, and some instances where those taxes were removed because the lost economic benefits due to lost traffic exceeded the revenues generated by the tax. 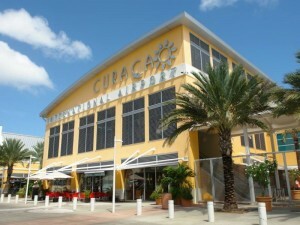 In the particular case of Curaçao, InterVISTAS concluded that a USD24 increase in ticket taxes/fees would result in a 6.5% reduction of passenger traffic, which represents over 93,000 passengers. Governments play a key role in the development of air transport, by way of definition of the policies that establish the environment in which the industry will operate. On this point, it is worth mentioning some forward looking policies such as one proposed by the Organization of Eastern Caribbean States, whose Ministers of Tourism endorsed a principle to reduce as much as possible taxes, fees, and charges on airline tickets of nationals traveling between member countries, as a way to bolster connectivity. In light of the proposed increase for charges at Curaçao Airport, we think that it’s very important to keep a long-term strategic view of the broad contributions of aviation, especially considering its key role in tourism development. ALTA is fully committed to working jointly with the Government of Curaçao and all stakeholders to ensure the implementation of a fair and equitable aeronautical charges setting process for the benefit of the industry and the country.